Strong advocates of our new G20 process are convinced that it will bring legitimacy to international economic policy discussions, rule-making, and crisis interventions. Certainly, it’s better than the G7/G8 pretending to run things--after all, who elected them? But who elected the G20? The answer is: No one. And, in case you were wondering, there is no application form to join the G20 (although you can crash the party if you have the right friends, e.g., Spain). 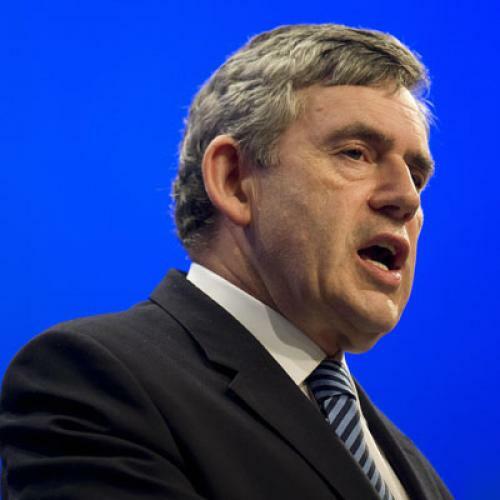 The G20 has appointed themselves as the world’s “economic governing council” (to quote Gordon Brown). Not really--it would be much better to have a structure in which all countries were represented, probably with some weighting according to their economic and financial importance in the world. The problem is that we have what is supposed to be exactly that structure, at the International Monetary Fund, and it doesn’t work very well. The IMF has 186 members, represented by 24 executive board members, who live in Washington, D.C., and work every day (almost) at the Fund. The IMF’s resident executive board members are often not very senior, meaning they are long way below the real decision makers in their respective bureaucratic structures; this is cumbersome. But twice a year, finance ministers representing the 24 board seats meet as the International Monetary and Financial Committee (IMFC) to oversee the work of the Fund--with the next meeting in Istanbul, October 6-7. You might think that Istanbul will advance the G20 agenda--because the people meeting as the IMFC are almost the same people who will meet in November as the G20 ministers of finance. But they are not the same and many other people will be in the room at Istanbul. This is all very awkward and will further slow down whatever progress there is at the global financial reform level. In fact, the G20 suggested that the next productive meeting would be of its finance ministers in November, i.e., implying that Istanbul is a waste of time. The relationship of the G20 to the IMF is extremely delicate--smaller countries are already beginning to complain, and with some reason. If the goal is to rebuild the legitimacy of the IMF and to encourage countries to trust it to lend fairly in a crisis, this is not going very well. The rules around who will be supported and on what basis are becoming increasingly murky and not rules-based--e.g., Eastern Europe is almost certainly getting deals that would never have been offered to troubled countries in Asia. It would be better for emerging markets to form their own Fund (let’s call that the EMF). They have plenty of “hard” currency in hand to do so and no shortage of economic expertise; $1 trillion of paid up capital would be more than enough to get it started (and this would also take the pressure off China with regard to its “excess” reserves). The EMF can cooperate with the IMF but also operate independently--and just as much (vaguely) under the auspices of the G20. This would go a long way towards restoring emerging market and developing country confidence in the international financial system--and towards assuring they will get timely and appropriate help in the event of another world crisis.